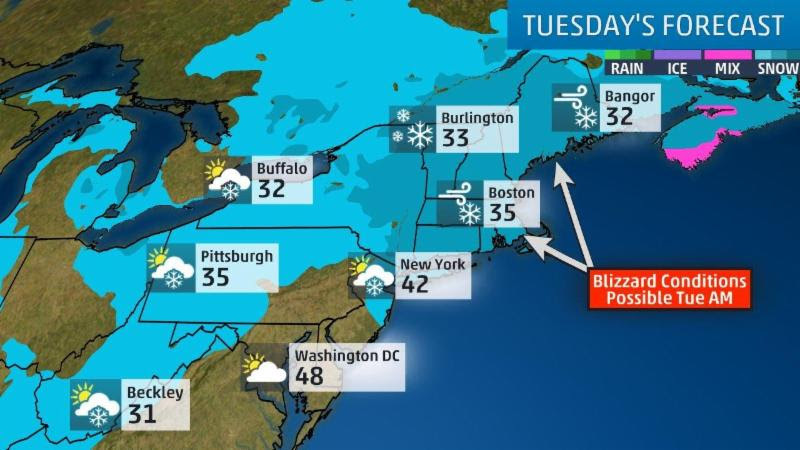 Please be advised that Winter Storm Skylar is expected to bring blizzard conditions to New England on Tuesday, causing major traffic disruptions and flight cancelations. The New York City region is due to receive up to 6+ inches of snow, while Boston and all of eastern New England are anticipating 12-18″ with wind gusts of 60+ mph. As always, we are making preparations and will do everything possible to minimize any inconvenience to you. Thank you in advance for your understanding.